If you are anything like us than you know the difference between an average hostel and a great hostel. 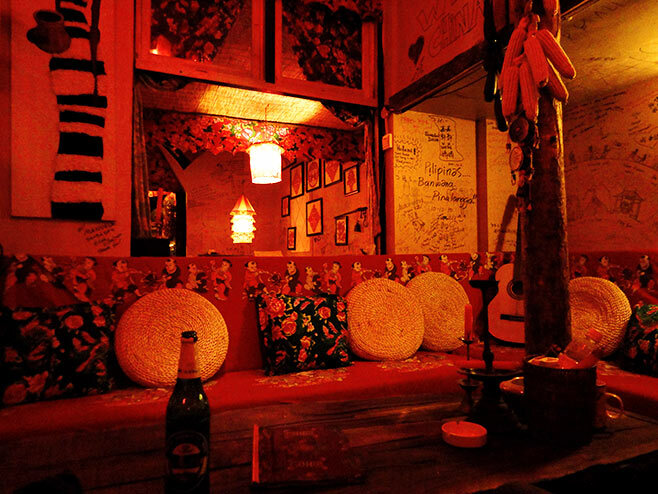 Here are the top 10 things we love in a hostel. Yvonne and I both love to read when we travel. Nothing is better on a long bus, train, or plane ride. I personally like to read Sci-fi stories or adventure novels. Books that take you around the world or out into space let my imagination run wild and I can day dream about some far off land or planet. So, one of the things we love in a hostel is a book exchange. It can sometimes be hard to find English or Dutch (even harder) books when traveling, which is why we love a good book exchange. Some hostels offer a 1-to-1 exchange, which is amazing! But, others offer a 2-to-1, which is also good. The great thing about a book exchange is it’s convenient. All of the best hostels have some kind of book exchange or book store. Books on tables, ready to be read. This one is right up at the top of the list because it is extremely important. We love knowledgeable staff in a hostel. It is extremely important because travelers are not familiar with the local area. When an owner or staff member takes the time to help with a tour or gives us advice about a local restaurant, provides bus information or just remembers our names, we love it!! In other businesses, we call this customer service. When done right in a hostel, it can take it from average to great. I always travel with a lock. It is something I started doing after our first trip around China. All travelers have important things with them that they do not want to lose. 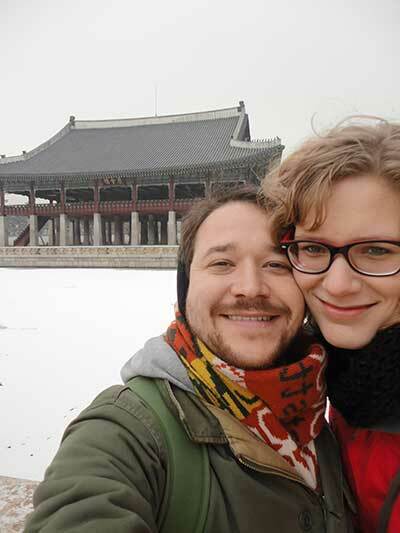 We usually travel with computers, cameras, money/cards, passports, etc. There are many things that we do not want to lose when on the road, which is why it is so important for hostels to have lockers. The best hostels understand this and provide lockers. This really makes a big difference, especially if there is a beach or pool near by the hostel. It is hard to enjoy the beach when you can’t leave valuables at the hostel and you can’t leave them on the beach. Nobody and I mean nobody wants to stand in 3 cm of dirty shower water because the hostel’s drains are backed up. It is one of the most important parts of a hostel experience; yet, many hostels seem to neglect the showers. If you get out of the shower feeling dirtier than when you got in…. that is a problem. There have been times were the drains didn’t work and I know 3-4 or more other people have just taken showers. I don’t want to stand in their filth! I am sure they are nice people but I do not want to take a bath with them. The second part of the shower equation is hot water. This is not as important to me, but it is still extremely important. I can forgive a hostel for just about all the other problems it might have, but having bad showers is unforgivable. Backpackers are basically paying for two things in a hostel: a bed and a shower. So, one of the things we love in a hostel is a good shower. Yvonne and I are foodies, maybe not extreme foodies, but we love to eat. But, with that said, I am not a morning person. I value my sleep and I am often running late in the morning. I love when a hostel has a good breakfast. Breakfast is important, but often times we are in a hurry to start our adventures and do not want to spend the first 30 minutes looking for a street vendor or convenient store. Hostels that provide a simple, fast and affordable breakfast option are high on my list of great hostels. Also, offering drinks or having a bar allows for greater socializing between travelers. This is also important because planning day trips with other travelers often reduces the costs and allows for a better experience. 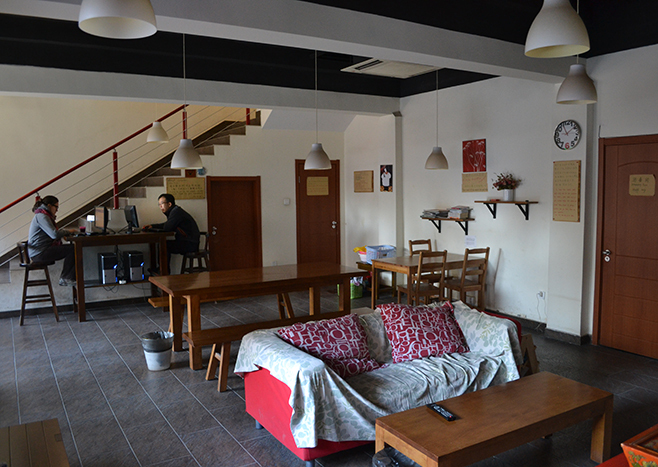 Another thing we love in a hostel is a good common area. Going off of what we were just talking about in the last point; along with food options there should be a common area where travelers can socialize and plan trips. We have changed our plans many times after receiving advice from other travelers, while planning in a common area of a hostel. Sometime we share pictures or decide to go (or not go) to a destination based on conversations we have in common areas. Many backpackers and travelers have a strong sense of community and want to interact with each other; the best hostels provide a space for this interaction. Two computers in the common room of this hostel. Would you consider that enough nowadays? We have been to some hostels that do not offer free WiFi or any WiFi for that matter! This is 2015 people, get your house in order. One of the things that makes a hostel great is free WiFi and computers in the common area. The best hostels offer 15-30 minutes of free computer use and keep a strict watch on it. We have been to some hostels with a 15 minute limit that is never enforced and this can drive travelers crazy. I have waited for a computer to free up while the user is watching cat videos or trying to upload a YouTube video. The best hostels enforce a strict computer time limit and provide free WiFi in the common area. This is a hostel, not a refugee camp! 20 people to a dorm room is not acceptable. I am not complaining, because I don’t stay in these hostels, but I think dorms of 10 or less is better. I really think 8 or less is ideal, but I will go up to 10 per room, if I have no choice. I need my space, I am rather reserved and I can handle a dorm of about 10 people, but anything over that is impossible to sleep in because some travelers are up at 6 am to start their day, while others don’t make it to bed until 3 am. I have nightmares and I am a light sleeper, so, for me it is 10 or less. The best hostels know that the more people you put into one room, the less sleep people will get and people are no fun to deal with when they are sleep deprived. I don’t mind wearing the same pair of jeans for a week or two, but when people around me start to notice… it’s time to do laundry. Any traveler that has spent more than a month on the road understands how difficult it can be to wash clothes in a small town in the middle of a forest. The best hostels also know this fact and provide laundry facilities or laundry services. When I am traveling, I don’t want to think about laundry or ‘daily chores’. I want to think about the next mountain or river I will cross or the next market I will tackle, not laundry. So, laundry services are one of the top things we love in a hostel. Location, Location, Location! I used to hear this all the time in my business classes. The truth couldn’t be clearer; hostels, and hotels for that matter, need to be in a good location for travelers to move around the city or area. Easy access to subways and buses is extremely important. Along with transportation, restaurants and historic sites need to be easy to access. The best hostels are usually in a great location. Yvonne and I have even picked a hostel with bad reviews based solely on the location. 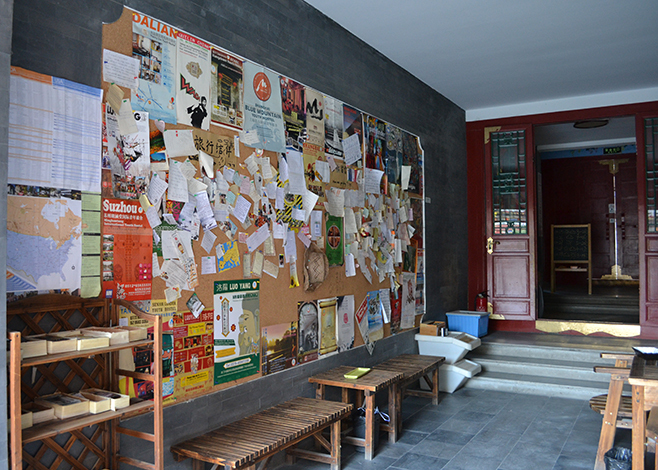 Hostel common area in Pingyao, China. We know hostels are not the same as 5 star resorts and we don’t expect these features in every hostel, but the hostels that have these features are usually the most fun and provide the best overall experience. These are some of the things we love in a hostel, but since every traveler is different, we would love to hear what you have to say. Did we miss any of the important things? We love hostels and they can be a lot of fun, but they can also be nightmares. What are some of your best experiences in hostels and what made them so great? 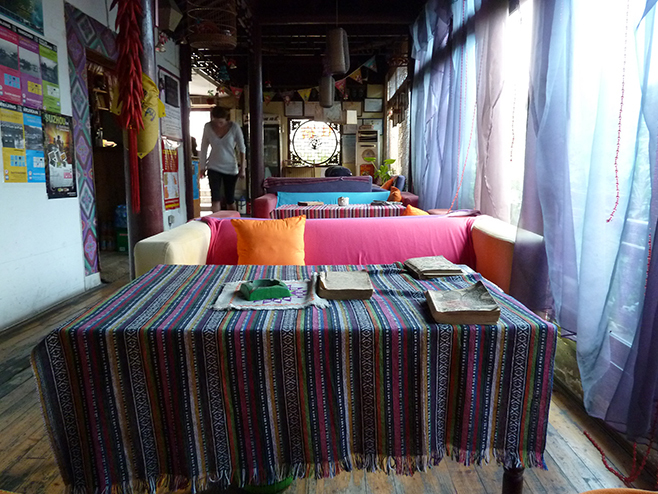 Want other travelers’ advice on hostels? Here is a form about ‘what makes a hostel great‘ find out what other travels from around the world think about great hostels. Ik hoop ook voor je dat het volgende hostel beter is, was er specifiek iets slecht aan dat eerste hostel? I love this post! The book exchange corners in hostels are the best if you want to read a lot abroad, but don’t want to take twenty books (or an e-reader) with you. Personally I prefer hostels over hotels. Not only for the budget, but also for the atmosphere. Young and old, male or female, newbies or dyed-in-the-wool backpackers – everybody shares one thing: they love to travel, meet new people and explore the world! Thanks for the comment and I couldn’t agree more. Hostels can be a lot of fun and a great way to meet other people passionate about traveling and exploring the world. The best hostels are the ones that help travelers interact with each other and share experiences.